There is no other masonry material that can match the qualities of natural stone. It is an excellent option for property improvement projects since it can be used in various architectural applications. Some of the popular stones that you can use for your project are granite, slate, bluestone, flagstone, limestone, and marble. These stones have their own distinct characteristics, so you must be careful when choosing the type that you will be using for your project. If you will ask Saratoga Pavers, the two natural stones that we highly recommend are limestone and marble. These stones possess unique and natural beauty that can easily transform areas into stunning spaces. 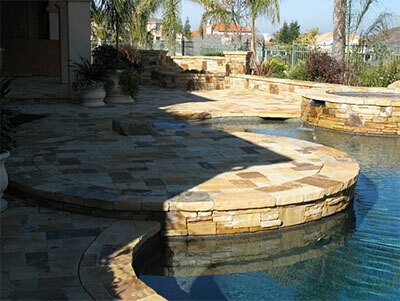 At Saratoga Pavers, we have proven that these stone types are excellent materials for indoor and outdoor applications. Limestone and marble can dramatically enhance the beauty and functionality of your home or commercial property. Limestone is commonly used as veneers, decorative trim, and for other architectural applications. Meanwhile, the versatility of marble makes it an almost all-around masonry material. It is highly recommended for bathrooms, kitchens, interiors, entryways, flooring, and pavements. You will surely love the charming beauty of marble when used as countertops, floor tiles, stair treads, fireplace surround, and paving stone. Let us make your interior or outdoor space more functional and stunning with our premium quality limestone and marble. Please call us today at (408) 621-1248.